Add the Historic Shield Boss to round shields for help deflecting blows, or attach it to plain shields for extra detail and interest. This mild steel shield boss is great for custom building your own historic reenactment shield. 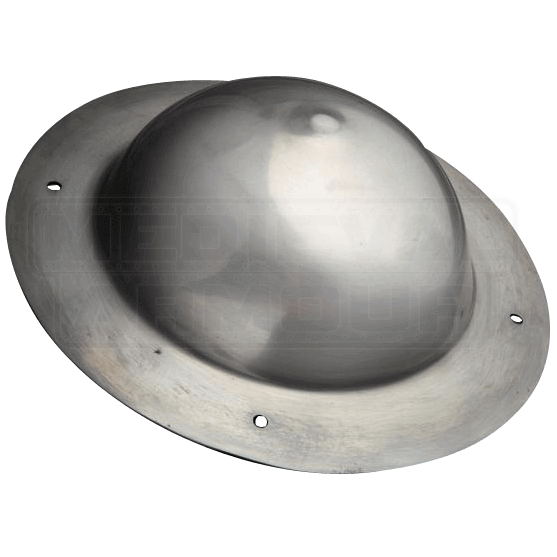 This practical, sleek, and versatile shield boss is sure to suit a variety of historic looks, and it features a wide lip with four holes for easy attachment to shields. Steel thickness may vary slightly due to its handcrafted construction.